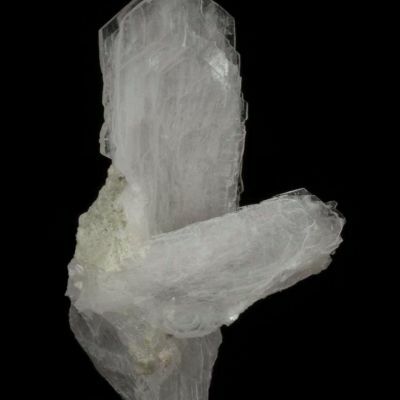 An elegant floater example of superb translucent crystals of bertrandite! 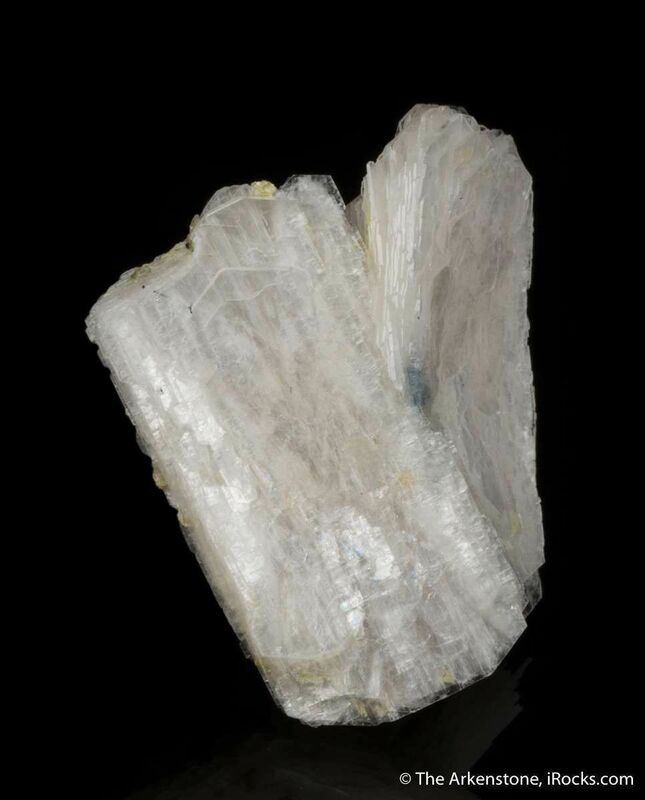 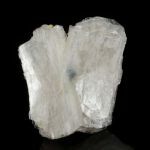 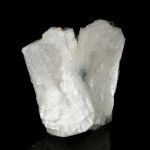 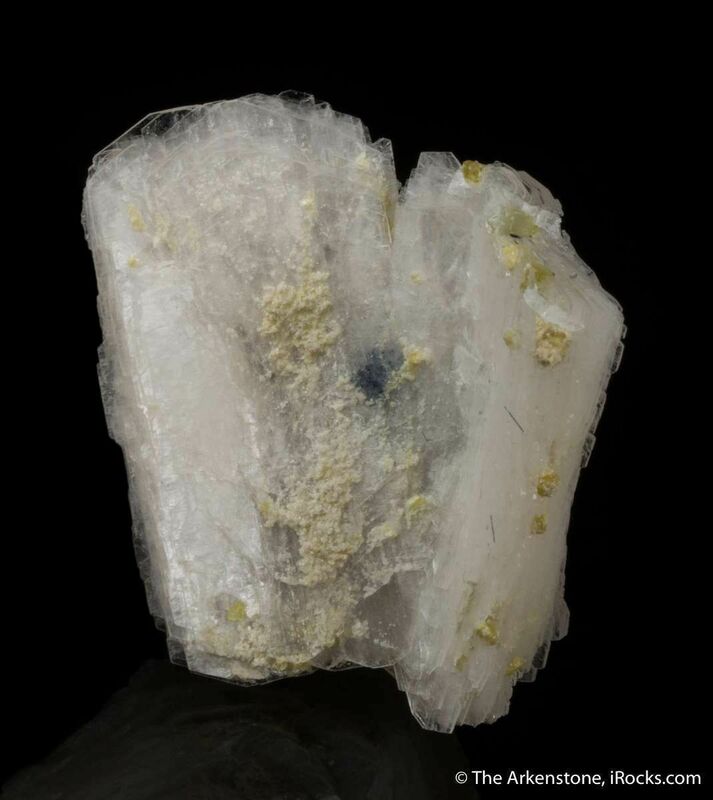 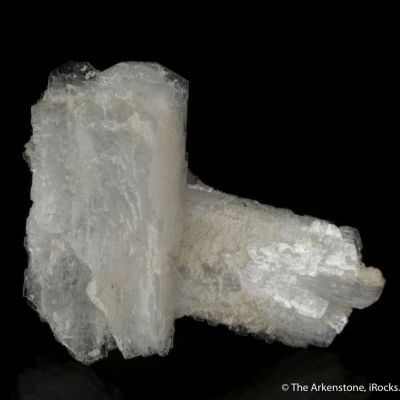 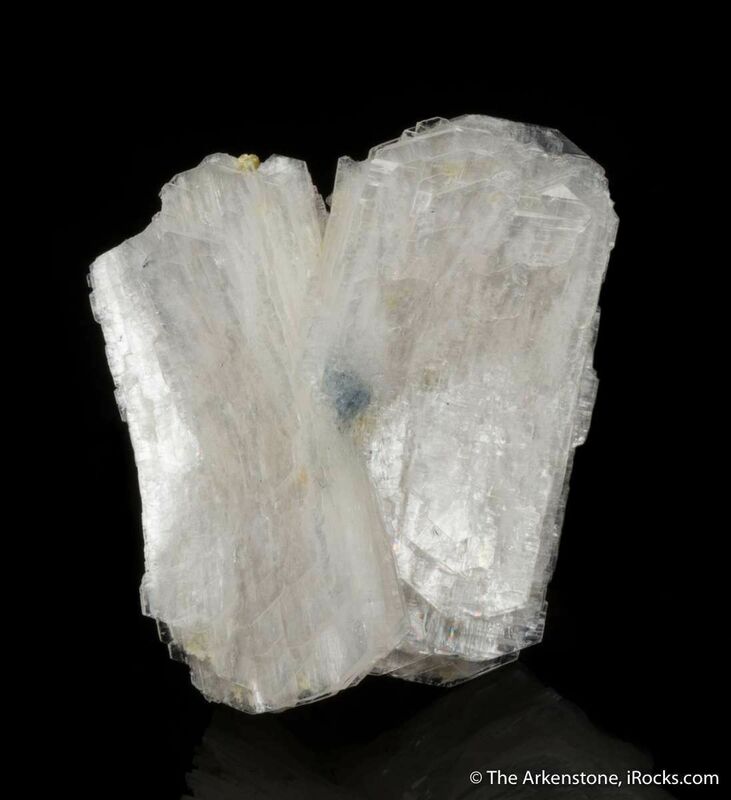 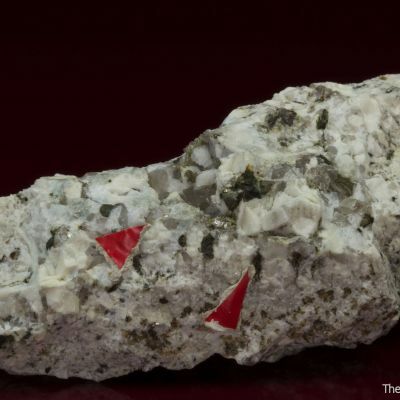 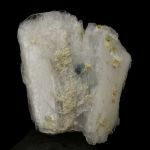 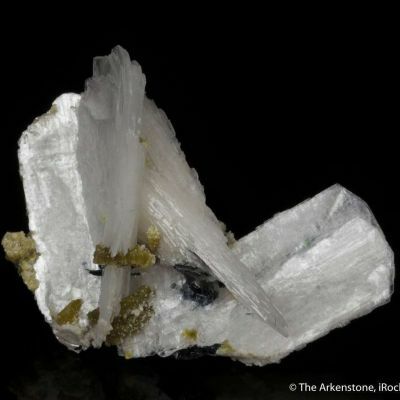 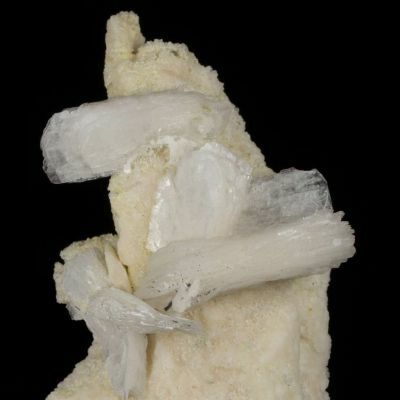 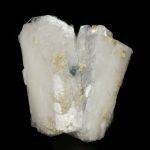 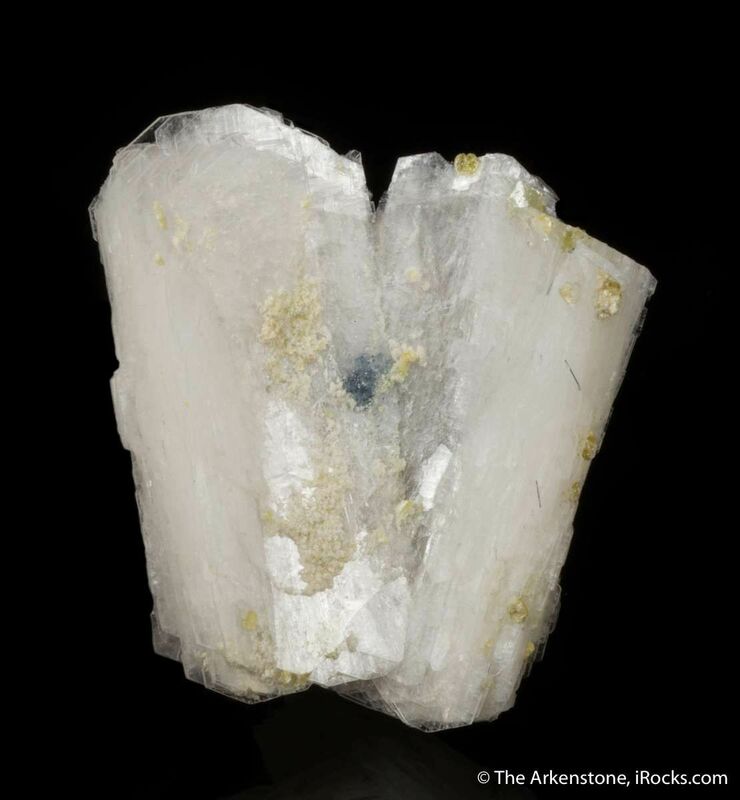 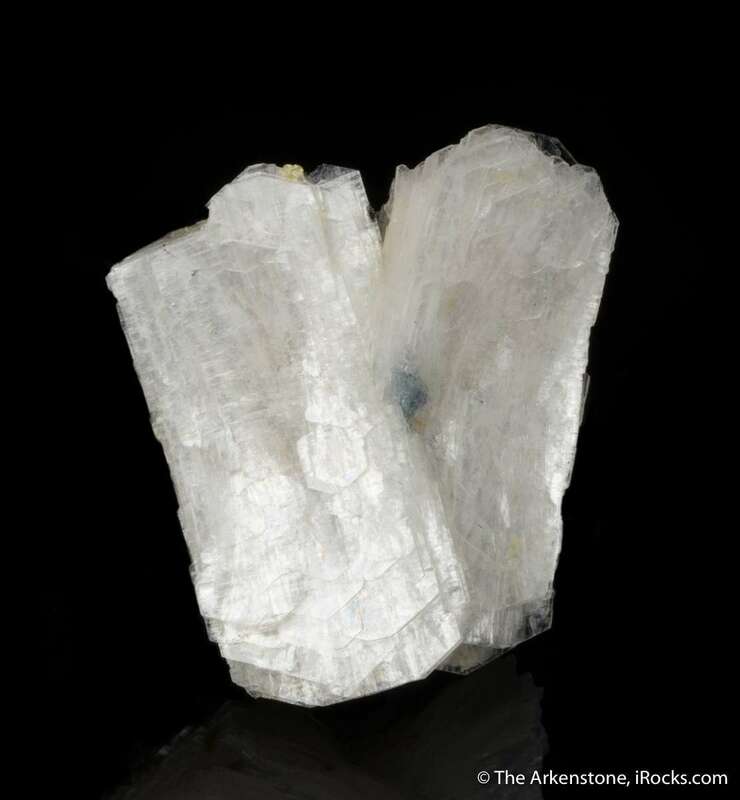 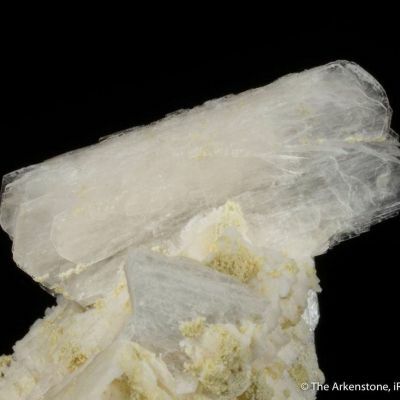 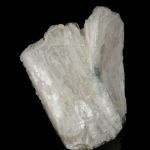 Two, doubly terminated, pearlescent and translucent, tabular, snow-white crystals of bertrandite, to 3.7 cm in length, are aesthetically joined like dancers. 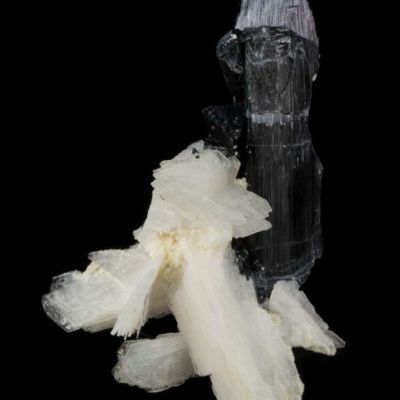 This is an outstanding, shockingly good miniature, and competitive for the species.